Jawa Motorcycles has taken the wraps off three new motorcycles today - the Jawa, Forty-Two, and the Perak bobber. Of these, the first motorcycle is the Jawa (that’s the name), which has been priced at INR 1.64 lakh (ex-showroom Delhi). The first-ever motorcycle built by the Czech bike maker was simply called Jawa. The name 'Jawa' comes from the first-ever motorcycle manufactured by the Czech company. Online bookings for the bike are underway today onwards, while deliveries will commence from January 2019. The Jawa is available in three colour options – Jawa Maroon, Jawa Grey and Jawa Black. The motorcycle was spied undergoing test runs in Pune yesterday. The motorcycle features a timeless design along with the iconic Jawa character. The bike is modern yet classic at the same time. It features a round fuel tank with a dual-tone paint scheme, large angular fenders, a retro headlight-dome with integrated speedometer and the oval-shaped side panels. 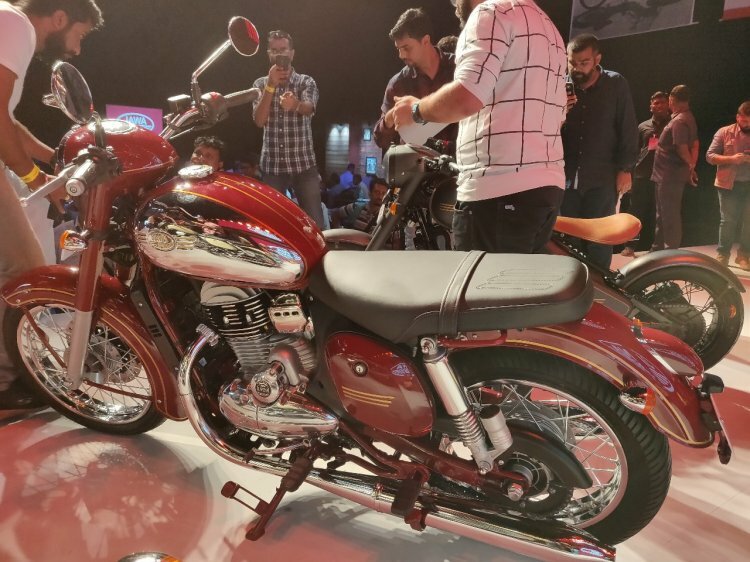 Powering the Jawa classic roadster is a 293 cc, single-cylinder, four-valve, liquid-cooled engine that is capable of generating 27 bhp of power while developing 28 Nm of peak torque. The BS-VI compliant motor is mated to a six-speed transmission. The engine features twin exhaust ports. A double-cradle chassis holds the engine as a stressed member. Suspension responsibilities are shouldered by a telescopic unit at the front and twin gas-canister hydraulic shock absorbers at the back. The bike drops anchors with the help of a single 280 mm disc up front with floating calliper and a 153 mm rear drum brake, while single-channel ABS is standard. The motorcycle rides on 18-inch front and 17-inch rear wire-spoke wheels that pair with MRF rubber. The born-again vehicle comes with a fuel tank capacity of 14 litres and a tip the scales with a kerb weight of 170 kg. It has a highly accessible seat height of 765 mm and a wheelbase of 1369 mm, which should offer straight-line stability. The Jawa motorcycle features a timeless classic design, dual-tone paint scheme and a lot of chrome detailing. 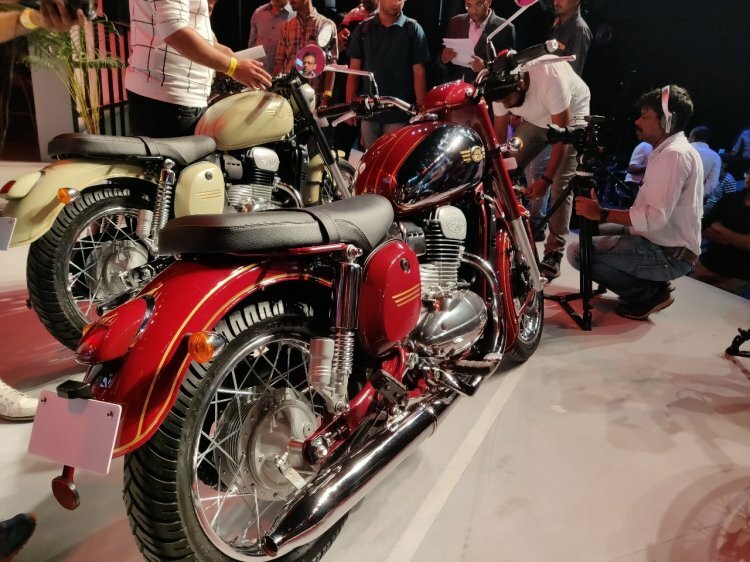 Jawa Motorcycles have signed up 105 dealers in Tier 1 and Tier 2 cities. Furthermore, 64 dealers are functional, while other dealerships are in the process of setting up the business. The Jawa bikes will start reaching dealerships from 5 December, and customers can take test rides immediately after.